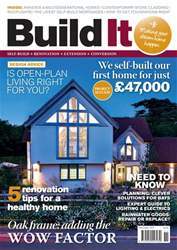 There’s plenty of ways to find the perfect self-build plot. 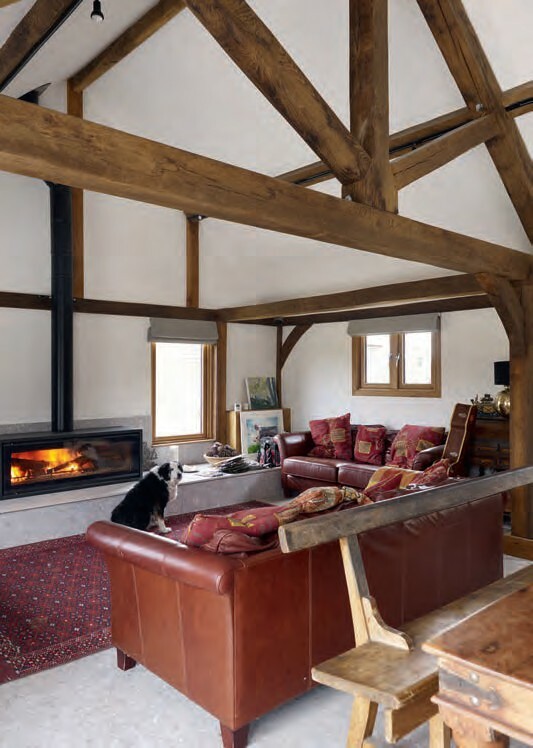 For Rob and Jo Glew, the land and outbuildings that came with the house they bought in 1998 appeared to hold a host of possibilities. However, the site’s position within an area of outstanding natural beauty (AONB) made the prospect of gaining planning approval for a new home seem unlikely at best. Rob accepted the decision and instead turned his attention to the dilapidated outbuildings on the plot. Another idea began to take shape, which Rob discussed with friend and local architect, Joanna Saady from Ecotecture. She introduced Rob to planning consultant Peter Rainer from DMH Stallard. 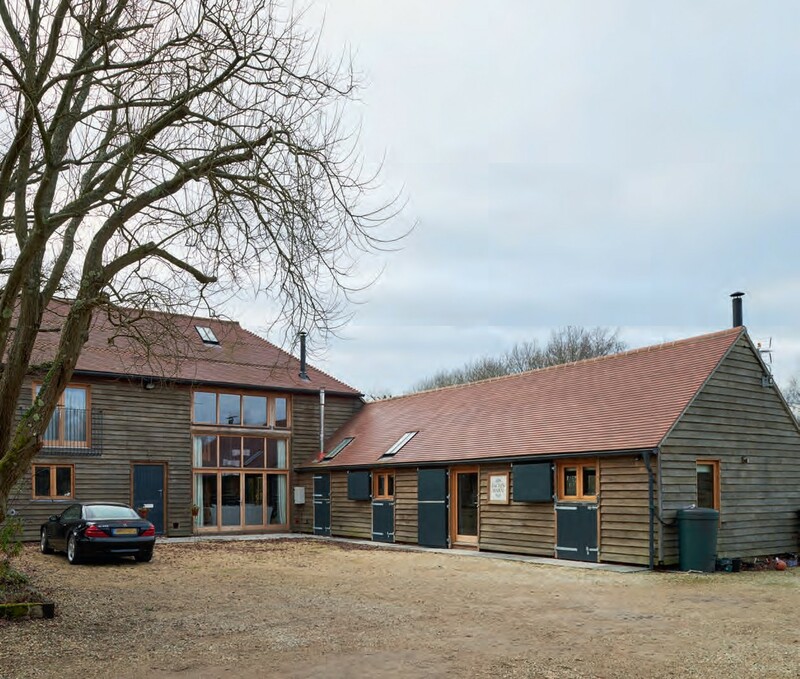 “I asked for Peter’s advice about replacing the outbuildings with an oak frame barn. He thought I wouldn’t have a problem if the structure was for agricultural use, but not residential,” says Rob.